You wouldn’t think we would spend so much time talking about pushing off a wall, but I’m willing to bet that at least a quarter of our practice time was routinely consumed with just that: how to push, how to hold a body position, how long to kick, which arm to begin pulling with first, when to breathe. When you consider that a third of the race yardage in a short course pool takes place around the walls, the “breakout”, or how to get away from the wall and take those first few strokes, becomes enormously important. Those first few steps in any endeavor are crucial. That’s where you set the tone and pattern for everything that follows. In swimming, a breakout done poorly, haphazardly, thoughtlessly, can limit what you can achieve and put you behind significantly, as well as waste your energy as you struggle to catch up. Being out of position or caught in your own turbulence creates resistance that tires you out needlessly and has a negative effect on you mentally as you fight to resurface and gain back that time just lost. A well-executed breakout, on the other hand, is an opportunity to leap ahead and improve one’s position, causing the swimming that follows to feel more powerful and efficient. 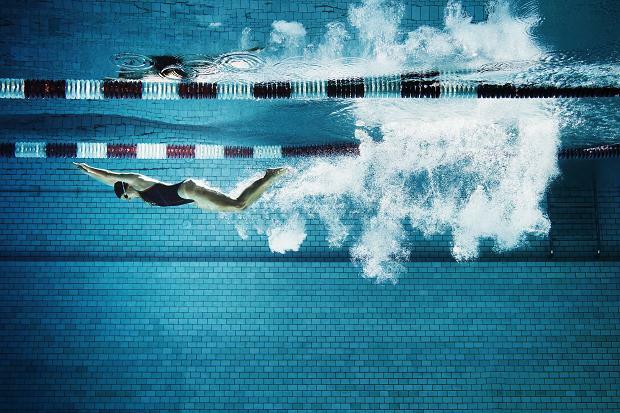 One of the uniquely beautiful things about swimming is that every length of the pool is a chance to start over, to do the breakout again, to readjust and set a different tone. It’s all part of the same race or the same training set, but it is still a fresh start in miniature. “THIS time I will push hard with both legs. THIS time I will squeeze into a tight streamline. THIS time I will kick hard. THIS time I will not breathe on the first stroke. THIS time my first strokes will be strong.” As a consequence, THIS time there will be a new outcome. What an awesome life lesson! How many times do we face moments where we can choose to make some changes or continue on struggling? How many times do we choose the struggle simply because it’s familiar? How many times do we choose mindless habit, no matter how much it wastes our energy? Our breakouts, our fresh starts, should always be mindful moments, moments of focus and concentration, because these are the moments where the pattern is set for what is to follow. Small, positive changes right there in that moment of pushing off and starting anew can lead to larger positive outcomes as you swim away. Capture those moments. Focus. Be mindful. It can make all the difference in your life.